My family loves the outdoors. We&apos;re hikers, runners, skiers and generally try to spend as much time out in nature as we can. Monday through Friday we are city folk, so we have a lot of pent up energy to expend on weekends. The Momtrends family can be a little rough on our outdoor gear. When a girlfriend told me about the Patagonia Worn Wear program I immediately went into research mode. 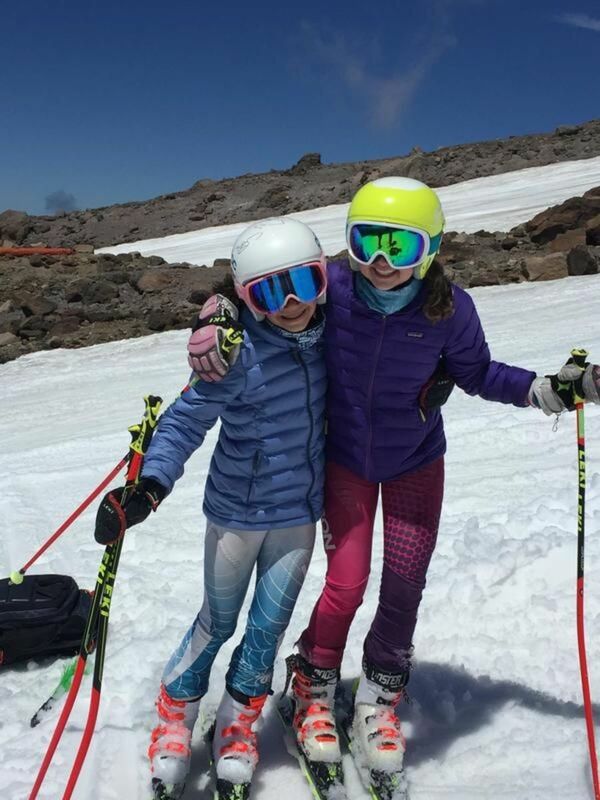 My oldest daughter is an avid skier. 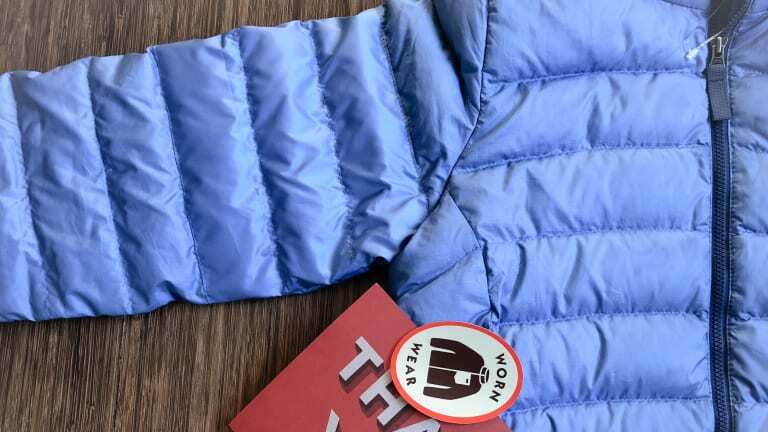 For her 13th birthday she picked out a gorgeous Patagonia "puffer" jacket for summer ski trips (it&apos;s a thing) and for layering. She and I both love the color, and it fit her so well. The item she picked was a down sweater from Patagonia and it cost $200+. I considered this an investment. Trouble arose when the jacket went on a three-week training trip to Chile. I&apos;m told the jacket was really warm, but there was an issue. The little puffer came back with three rips in it: two on the sleeves and one on the chest (it&apos;s not coincidental, that&apos;s the side she carries her skis on). The jacket wasn&apos;t even 6 months old and the stuffing was popping out. 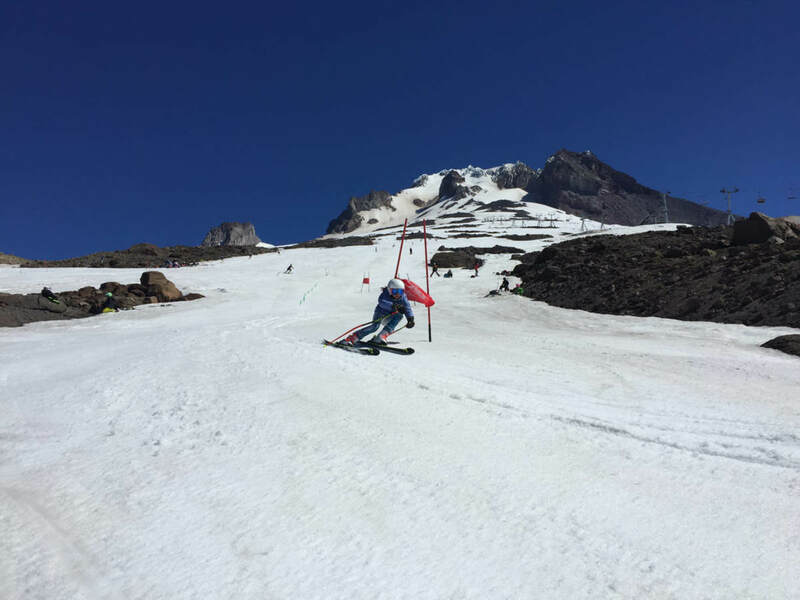 Lesson #1 learned: when carrying skis wear your thicker shell. Lesson #2 fix it, don&apos;t toss it. I will admit that my normal instinct would&apos;ve been to add a little duct tape to the puffer and call it a day. There&apos;s no way we were buying her a new one, and the repairs were beyond my capabilities. My fix: We always have duct tape in the ski bags for repairs I was ready to slap some silver tape on there. But given that the jacket was so new and that I&apos;d just heard of Worn Wear, I decided to see what Patagonia could do. I started my journey like any good blogger...with a google search. When I entered Patagonia repairs onto google, I landed here. The perfect spot. First I had to create a Patagonia account (smart on their part not only to track the repair, but also to start including me in marketing materials). From there, I filled out information about the item and the damage. In all, the return form took about 10 minutes to find and complete. I paid $5 to process the return (included shipping). When I was done, I printed out a shipping label and packed up the jacket in an old amazon box. I crossed my fingers that the jacket would be back before she went to her next ski camp out in Colorado. While some things are beyond repair, a lot of stuff can be fixed in a jiffy. I mailed the damaged jacket off to Patagonia on September 24th. I took a photo, and went online for details. I was given a number of email updates along the way. I was kept up to speed that the jacket had been received and another note let me know when the repair was done and a final note alerted me that the jacket was on it&apos;s way home. The jacket arrived back in Brooklyn on October 20th. There was a tag included telling me that "Mena" fixed the jacket (thanks Mena!). The process was easy, the repair was awesome and now Patagonia has completely won me over. As consumers, the single best thing we can do fo the planet is to keep our stuff in use longer, thereby reducing the need to buy more. Trading things in is a great option. Let&apos;s say that jacket survives more trips and then gets passed down to my second daughter, when we&apos;re done we can avail Patagonia of the trade-in policy. 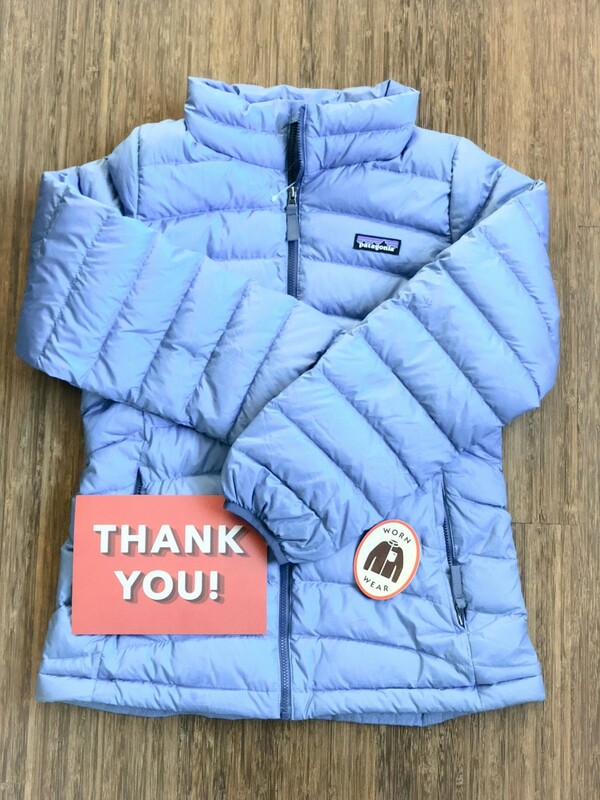 When you trade in your used Patagonia gear at any Patagonia retail location you&apos;ll receive credit to put toward another new or used garment. 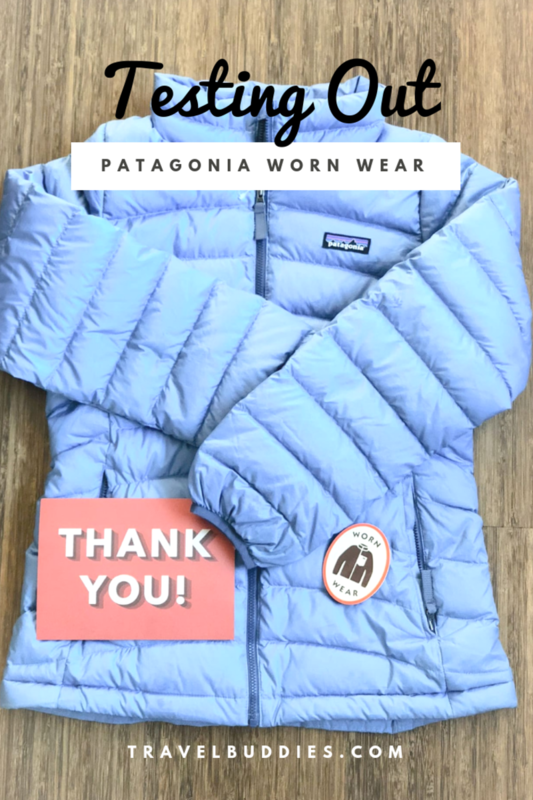 This Patagonia Worn Wear feature is not a sponsored post.